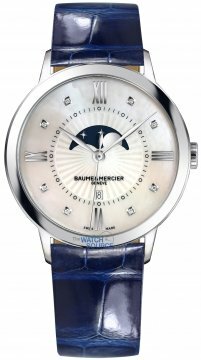 Baume et Mercier watches was officially founded in 1830 by Louis Victor Baume and Pierre-Joseph-Célestin Baume, two brothers who started to manufacture watches of high quality design. Seventeen years later in 1847 they decided to look to London as a city where their creations could gain worldwide attention and in this year they set up a base of operations there. 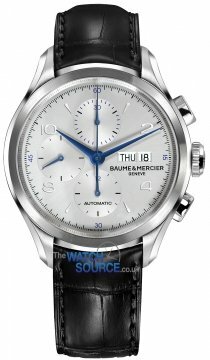 At this time the Baume et Mercier name was not founded, it was not until the grandson of one of the original founders partnered up with Paul Mercier to create the iconic name Baume et Mercier we know today. Throughout the early 1900s Baume et Mercier experience worldwide acclaim and fame due to the precision of their time pieces and they range of different watches they produced which were regarded as elegant and accurate. They received many awards throughout the years for their precision including their early chronometer watches and tourbillon movements. One of the most notable watches created by the brand was the Riviera in 1973, a watch which today is still sought after. The entire manufacturing and distribution of Baume et Mercier watches is tightly controlled by the company. Today its ranges include such models as the Capeland, Classima, Clifton, Hampton, Ilea, Linea, and of course the newer version Riviera. 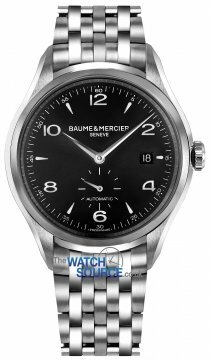 Baume et Mercier has tried to promote itself as a brand of the people backing various humanitarian causes and partnering up with many celebrities to promote these values. Baume et Mercier is now part of the Richemont group.